Oral cancer is a global health problem with increasing incidence and mortality rates. Early detection of oral cancer can improve therapeutic results and reduce mortality. Painful biopsies are presently the routine for early diagnosis. The alternative, cytology is a simple non-aggressive technique that is well accepted by the patient and therefore an attractive option. High quality representative samples are of importance cytology. 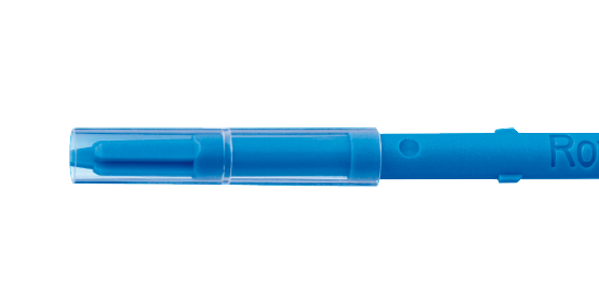 The Orcellex® Brush was developed to obtain an oral intra-epithelial sample. The brush was developed in collaboration with dentists and physicians by Rovers Medical Devices, specialist in the development of medical devices for gynaecological examinations for over 20 years. The shape and the dimensions of the new Rovers® Orcellex® Brush make it possible to sample intra-epithelial locations where most of the dysplastic cells are found. The resulting samples are composed of cells that are representative of all layers of the oral epithelium (basal and parabasal, intermediate cells and superficial cells). Easy to use, non-invasive versus histological methods. Low number of repeat sampling because of the high adequacy rate. Good quality DNA1 based on UK National Genetics Reference laboratory requirements. The design enables optimal collection, storage and release of cell material. Representative sample for liquid-based or conventional cytology or DNA testing. Abram et al, 2018, Transl Oncol. Alsarraf et al, 2018, J. Oral Path. Kujan et al, 2018, J. Oral Sci. Alves et al, 2016, Acta Stomatol Croat. Alves et al., 2016, Biotech. Histochem.